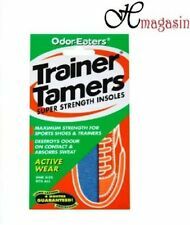 ODOR-EATERS SUPER TUFF, TRAINER TAMERS, ULTRA COMFORT IN PACKS OF 1, 3, 6, & 12. Envii Kit Fresh Concentrate. Envii Kit Fresh works by eating the odour-causing proteins and lipids found in fresh sweat before they can degrade to create odours. From removing the sludge from your pond to helping your garden grow, our products are natural and unique. 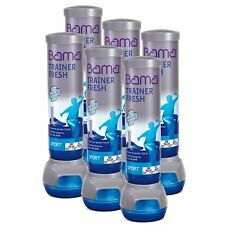 Bama Fresh Kiwi is a deodorant for shoes with the formula that neutralises unpleasant odors. Deodorant has a spray formula and is very convenient to use. Tri-Bio Eco Probiotic Shoe Deodoriser Odour Remover Spray eliminates odours not by masking them, but but removing the organics that caused them. Instantly and fully eliminates unpleasant odors from footwear and fabrics. FOR MAXIMUM BENEFIT USE DAILY AS REQUIRED. FAST ACTING. QUICK DRYING. PROTECTS AGAINST ODOUR & WETNESS. ODOUR NEUTRALISING. WITH A COMBINATION OF ANTI-BACTERIAL AND ANTI-FUNGAL INGREDIENTS. IT COMBATS BACTERIA AND FUNGI IN THE SHOE KEEPING THEM FRESH AND ODOUR FREE. FAST ACTING AND QUICK DRYING. ODOUR NEUTRALISING. The fast-acting formula cures fast, so you can eat in 60 minutes. Ready to use liquid. 12 X PAIRS OF ODOUR EATING INSOLES. ACTIVATED CHARCOAL FOR EXTRA ODOUR CONTROL. ODOUR EATING INSOLES. 12 X PAIRS OF GOOD QUALITY COMFORTABLE. JUST FOLLOW MARKINGS AND CUT TO SIZE TO MAKE A PERFECT FIT. THEY HELP YOUR FEET TO BREATHE. Tarrago Fresh Deodorant Shoe Spray 100ml. Aromatises and refreshes your footwear from heel to toe. Size: 100ml. Place cannister upright in the footwear, ensuring outlets are facing toe and heels areas. Anti Odour. Fashion Accessories. Cut to size. Art & Craft. Super effective deodorising inserts. Boot Bananas are perfect for high intensity sports footwear like climbing, running, ballet, basketball, football, court sports, skiing, snowboarding, ice skating or hockey. They work great for boxing gloves, football keeper gloves, cricket keeper gloves, hockey gloves, lacrosse gloves, shoes, and more. Works great for Boxing Gloves, Cricket Keeper Gloves, Football Keeper Gloves, Field Hockey Gloves & more. 3 pack of Kiwi Del Fresh shoe deodorant spray Any questions please do not hesitate to ask! Extract the essence of natural plants, combining with the tree extract with high adhesion. Uses: remove sweaty feet, stinky feet, shoes and socks odor. 3 × Athlete's foot removing spray. Used for deodorizing shoes and socks, not changing color, not dyeing, making shoes and socks dry and comfortable! 2 pack of Kiwi Deo Fresh shoe deodorant spray Any questions please let me know! Odor-Eaters Triple Odour Protection. specially designed for all trainers and sports shoes. Only Odor-Eaters combine three powerful odour destroyers Insta-Fresh instantly neutralises sweat acids that release odour. ANTI-ODOUR CUT TO SIZE INSOLES. 2 PAIRS LIGHTWEIGHT EXTRA FRESH INNER SOLES. COOL AND COMFORTABLE. EASY TO CUT TO SIZE. INSTANTLY KILLS ALL FOOT and TRAINER ODOUR. SUPER STRENGTH INSOLES. MAXIMUM STRENGTH FOR SPORTS SHOES and TRAINERS. ACTIVE WEAR. ONE SIZE FITS ALL. Specially formulated to eliminate shoe odour. Each can is a handy-sized 200ml. Powerful antibacterial action. Mixing the ingredients is paramount to stop splatter and the clogging of nozzles! Avoid prolonged spraying. ODOR-EATERS ULTRA COMFORT DEODORISING INSOLES. DEODORISING COMFORT INSOLES. INSTANTLY KILLS ALL FOOT and SHOE ODOUR. ONE SIZE FITS ALL. Don't let their small size fool you - these strong air fresheners are tough on odors! Simple twist action. Fresh and clean scent. Four marks. 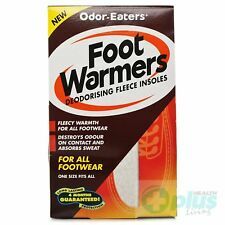 6 x ODOR-EATERS SUPER TUFF DEODORISING INSOLES.WASHABLE GOOD VALUE!! ODOR-EATERS SUPER TUFF DEODORISING INSOLES. INSTANTLY KILLS ALL FOOT and WORK BOOT ODOUR. EXTRA DURABLE FOR WORK SHOES AND BOOTS. ONE SIZE FITS ALL. INSTANTLY KILLS ALL FOOT and TRAINER ODOUR. Now your trainers can stay fresh and comfortable no matter how active you are. Only OdorEaters insoles give you this unique benefit:- Unique Triple Odour Protection clinically proven best for all trainers and sports shoes. We are pretty certain that this is the most powerful and effective shoe freshener you'll ever try; and its 100% natural. These properties not only keep shoes fresh, but healthy too reducing the risk of athletes foot. Looking For High Quality Unisex Lamb Wool Thermal Warm Fleece Furry Insoles?. Then Look no Furhter! 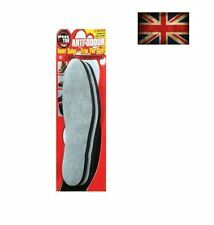 These wool insoles are wonderful for keeping your feet toasty warm inside boots or shoes. Naturally breathable and odour is neutralised. INSTANTLY KILLS ALL FOOT and TRAINER ODOUR. Unique Triple Odour Protection clinically is proven best for all trainers and sports shoes. Cherry Blossom Shoe Deodorant is a technically advanced formula deodorises and destroys odours caused by bacteria. Size: 200ml. Contains Long-lasting, concentrated odour neutralisers. Perfect for trainers, running shoes, boots, sports bags, lockers. We would love to hear from you: Lorraine, Christopher, Rachel and Jake. Anywhere that odours can cause problems. DIY Shoe Repair Supplies (316). Product Details. Safe & Secure. Zippo Products (3). Signs & Numbers (320). Odour neutraliser balls for trainers, running shoes, lockers and other places in need. Just leave one overnight (or at least for a couple of hours) where needed for a fresher, nicer experience! Ultimate Performance Shoe Fresheners are perfect for trainers, walking boots, gym bags, lockers - anywhere odours can cause a problem. 3 x ODOR-EATERS SUPER TUFF DEODORISING INSOLES. INSTANTLY KILLS ALL FOOT and WORK BOOT ODOUR. WORK WEAR. EXTRA DURABLE FOR WORK SHOES AND BOOTS. ONE SIZE FITS ALL. 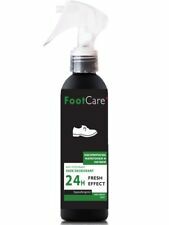 Our Shoe & Boot Deodorant Spray is specially formulated, to prevent unpleasant odour, and also to protect your shoes from Odour causing bacteria and fungi. This Product Is Specially Formulated To EliminateUnpleasant Odour. Eliminates Shoe Odour. 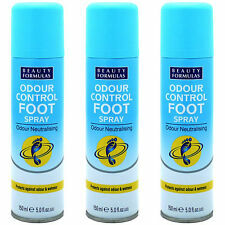 Shoe & Boot Deodorant 200ml Spray. 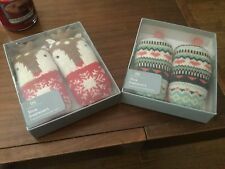 2x JAPAN DAISO ANTI ODOUR THERMAL INSOLES WOMENS 23-23.5cm . 2 PACK JAPAN DAISO ANTI ODOUR INSOLES MENS 24-27cm THERMAL INSOLES. JAPAN DAISO ANTI ODOUR INSOLES MENS 24-27cm THERMAL INSOLES.